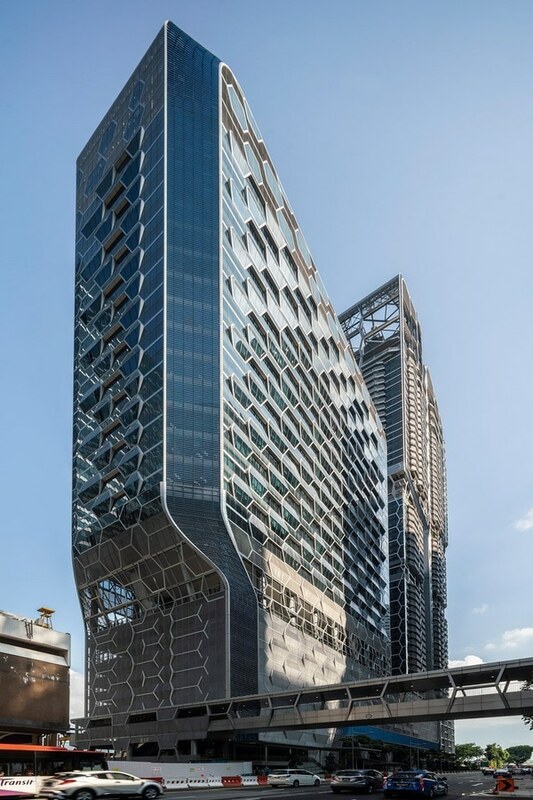 ‘V on shenton’ by UNStudio aims to provide a large scale, holistic, mixed-use development that offers round-the-clock programmes. 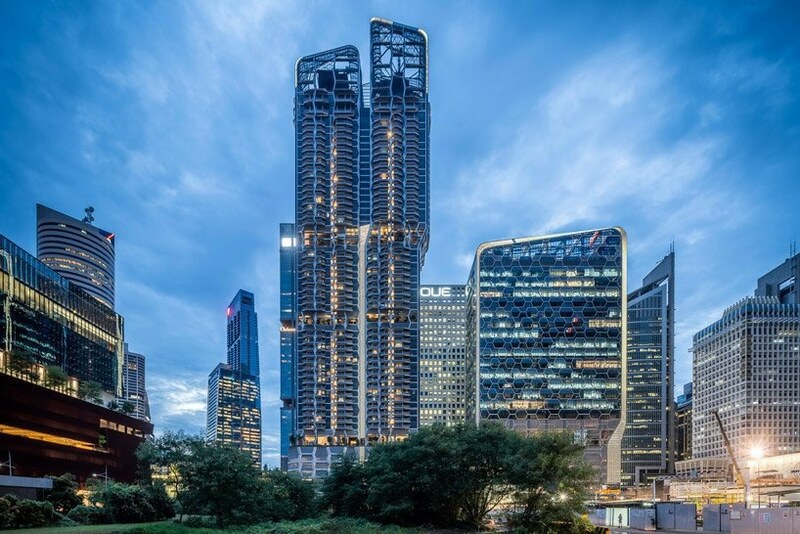 this type of development is being implemented in the dense urban environment in an effort to combat singapore’s density problems and scarcity of land. the building includes working, living and leisure activities on one single plot to maximize the valuable urban land. 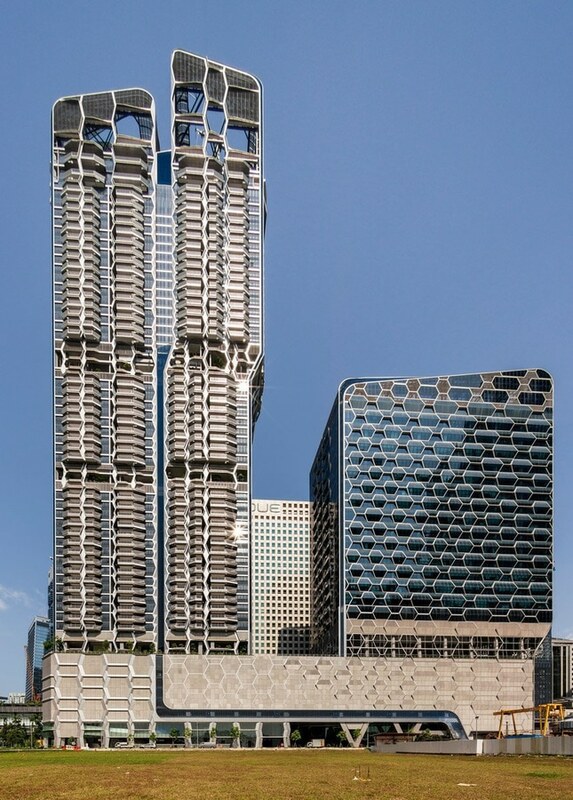 the massing of the towers is differentiated to reflect the functions of the building (office and residential). 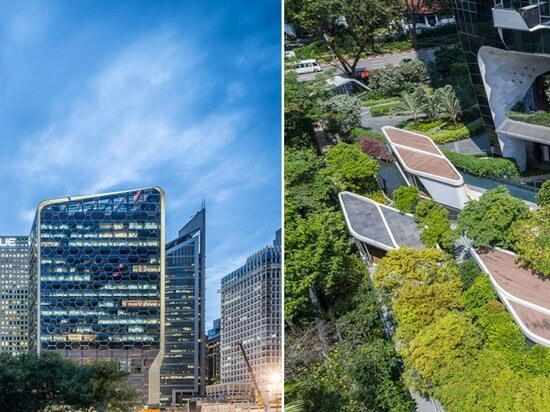 in addition to the office and residential uses, ‘V on shenton’ also includes sky gardens which enjoy panoramic views of singapore. 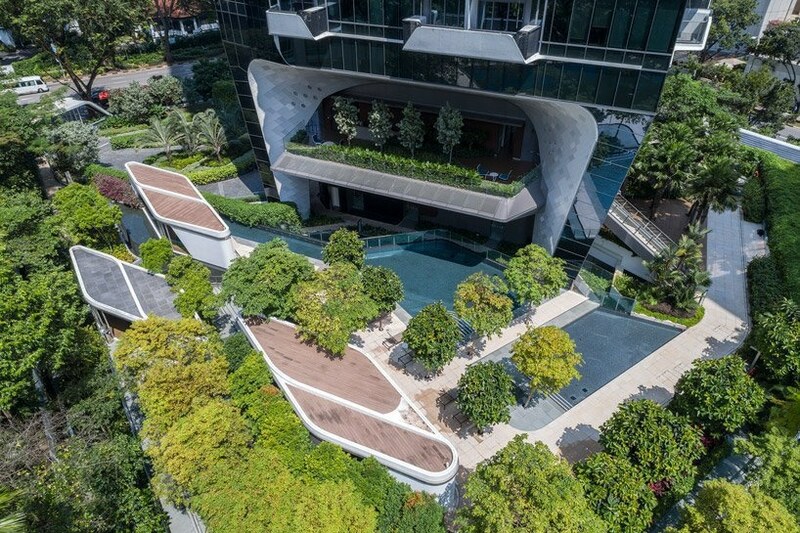 there are also areas designed for shared communal activities such as a fitness area, swimming pools and a children’s play area, with lush green vegetation providing fresher, cleaner air. 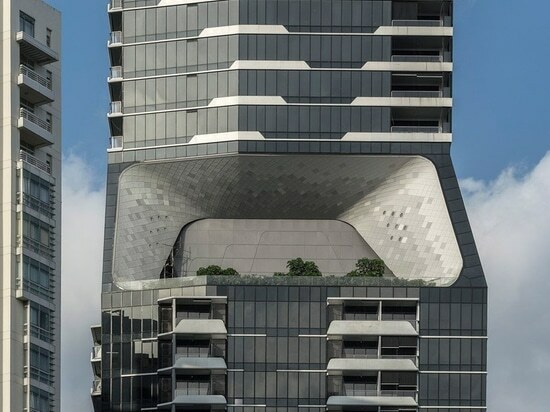 the façades of ‘V on shenton’ are designed by the architect using a geometric pattern originating from a hexagonal form. 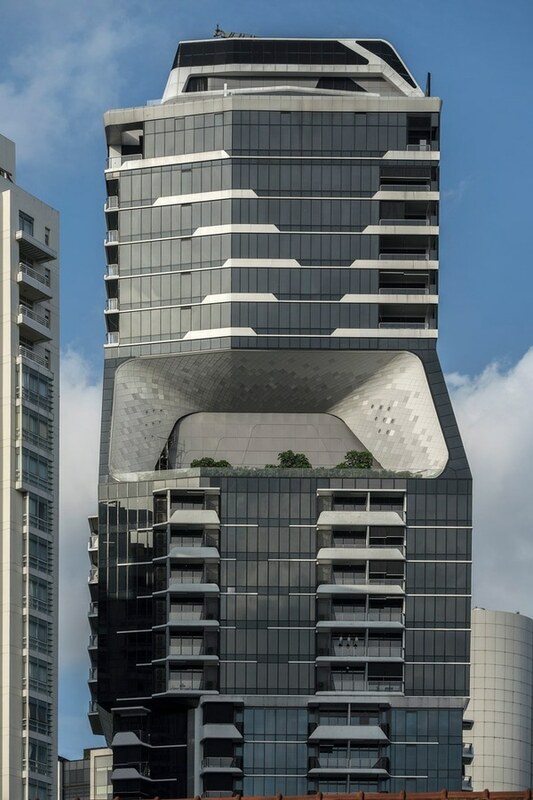 this shape is used to generate patterns that increase the performance of the façades, with angles and shading devices that are responsive to the climatic conditions of singapore. 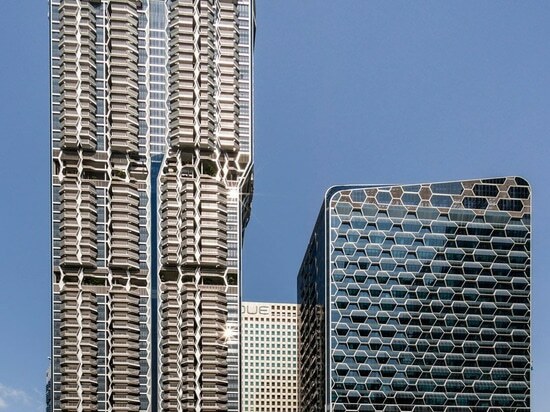 the façades of the office and residential towers are also differentiated slightly yet cohesive when viewed together. 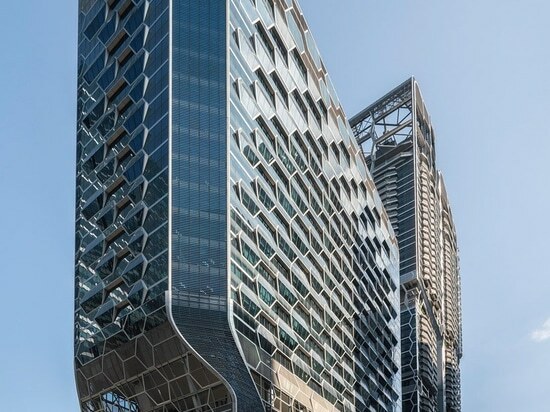 the construction of the office tower is based on a curtain wall module system and an optimized number of panel types, recombined to create a signature pattern. in contrast, the residential façade is created by the incorporation of the residential programme (balcony, bay window, planter). these geometric panels add texture to the building, whilst reflecting light and pocketing shade. 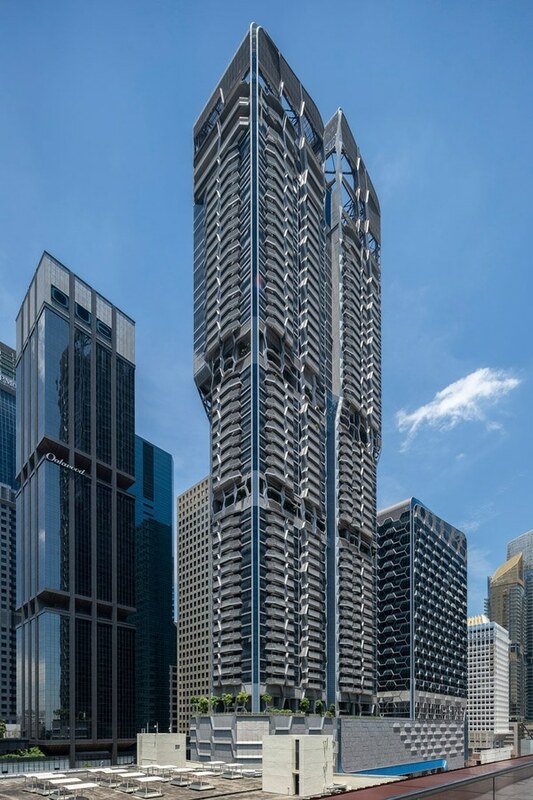 ‘the scotts tower’ marks another completed project by UNStudio in a prime singapore location on 38 scotts road. 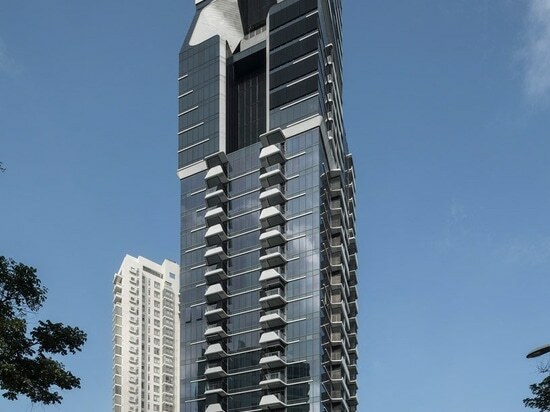 the 18,500m2, 31-storey, 231-unit tower is comprised of 1 to 3-bedroom apartments and 4-bedroom penthouses, along with expansive landscaped gardens, sky terraces, penthouse roof gardens and various recreational facilities. 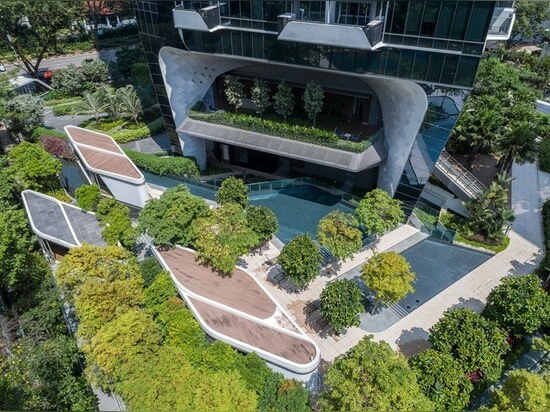 the building also benefits from impressive views across nearby parkland and the skyline of singapore. by embracing vertical expansion, the concept of ‘the scotts tower’ is to provide a vertical city and home for local residents. the tower is divided into four different residential clusters or ‘neighborhoods’. within each neighborhood, the varying types of residences are designed to be identifiable by the scale, distribution and articulation of outdoor space. outdoor terraces have also been incorporated to add to the personalised feel of the apartments. 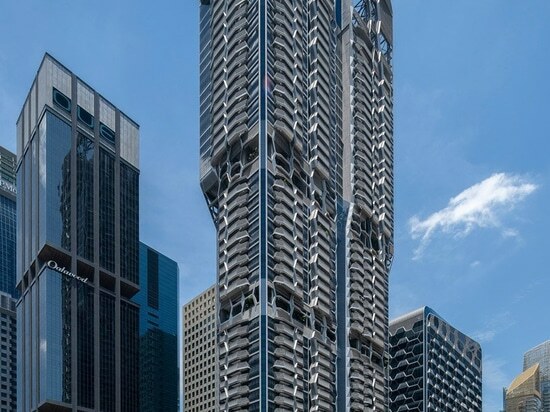 the concept of ‘the scotts tower’ is identified by two frames, the ‘vertical frame’ and the ‘sky frames.’ the vertical frame organizes the tower in an urban manner. it unites the tower into one ‘vertical city’, but also provides clear distinctions between the four residential clusters, generating the neighborhood effect. the sky frame – at the lobby (level 1 and 2) and sky terrace (level 25) – organize the amenity spaces and green areas of the tower and provide areas with panoramic views. the communal nature of these spaces also encourages interaction among users, further enhancing the neighborhood concept. 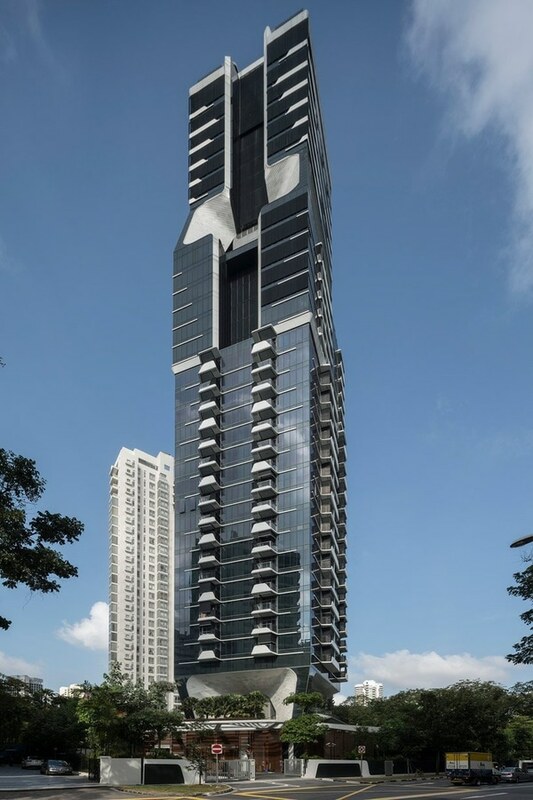 these two projects, ‘V on shenton’ and ‘the scotts tower’, by UNStudio aim to combat singapore’s growing density issue. 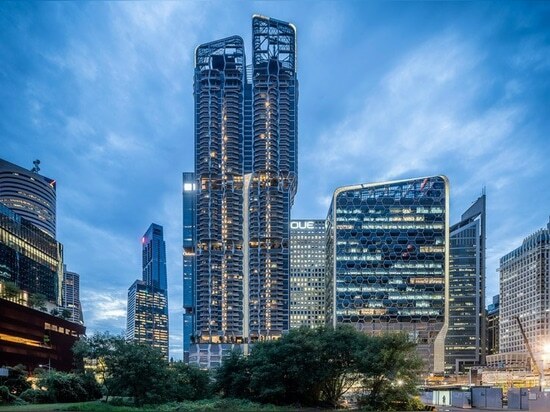 as one of the most densely populated countries in the world, these projects successfully envision how cities can grow vertically while still including recreational space and green areas.